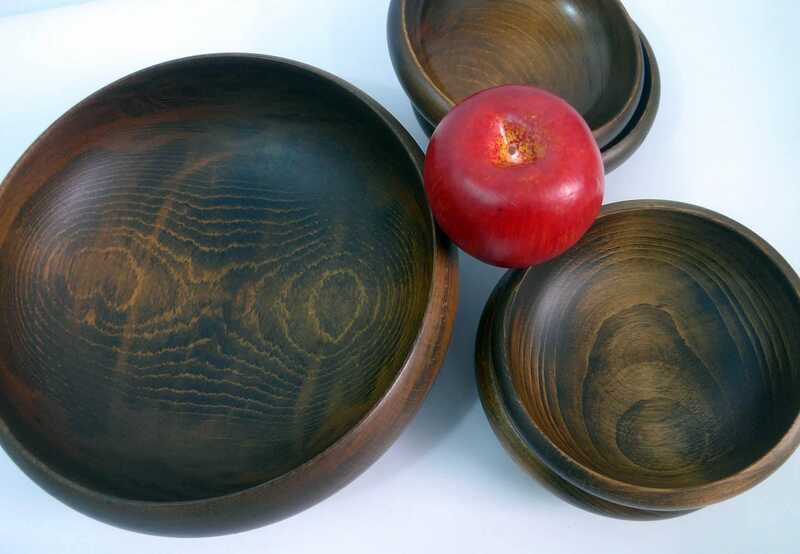 Set of Salad bowls - 1 large and 4 small matching wood bowls that have a beautiful deep chestnut brown color. 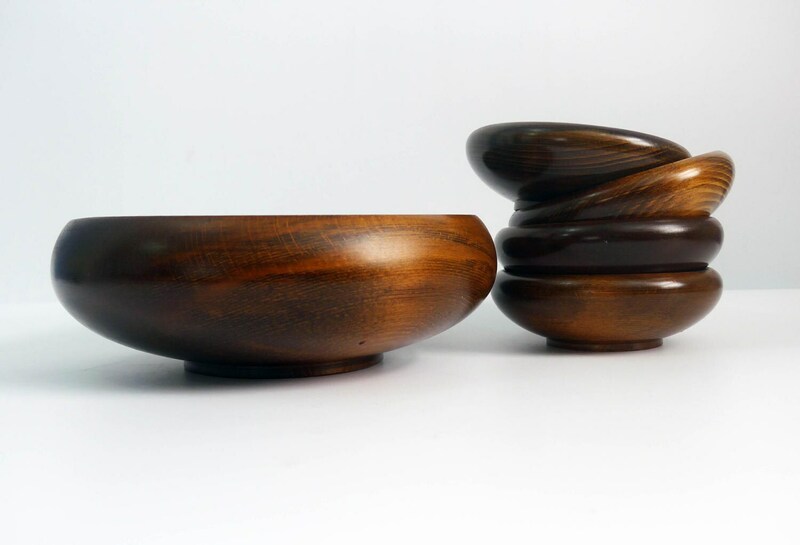 Two of the small bowls still have their original sticker intact. Rich wood with nice grain - see photos for detail. Stickers say "MAISON INTERNATIONAL NEW YORK 11 NY, Quality Import, MADE IN JAPAN"
In nice vintage condition - looks like this set may have not been used as the original stickers are still on the bottom of two of the bowls. 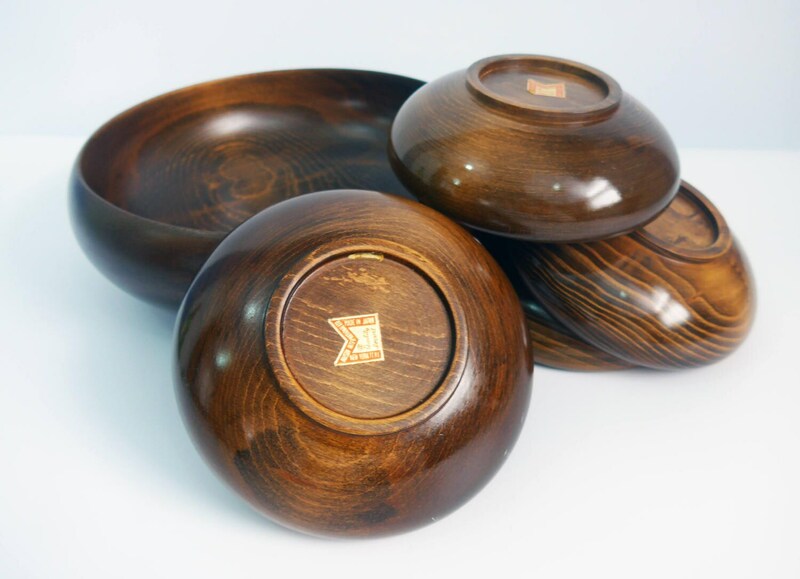 A few marks for storage on the large bowl as would be expected an item that is circa 1970s. 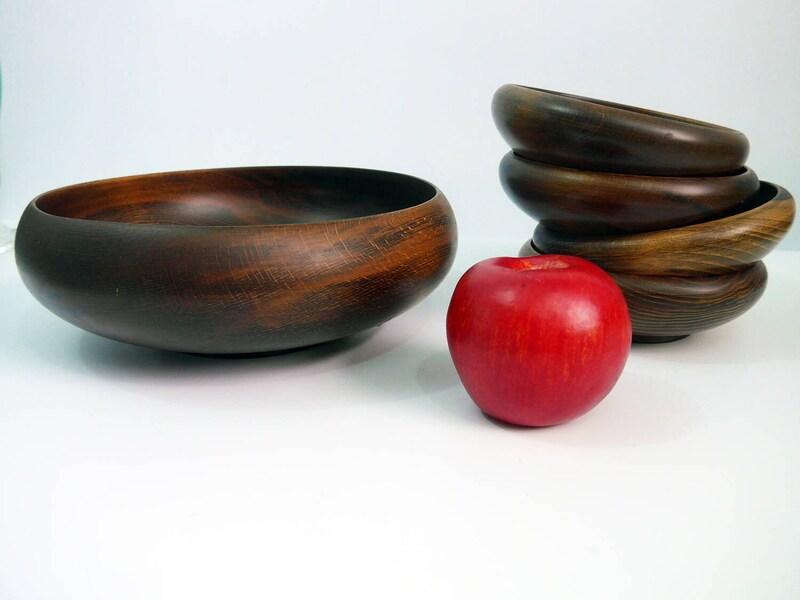 Gorgeous and unique rich colored wood bowls. 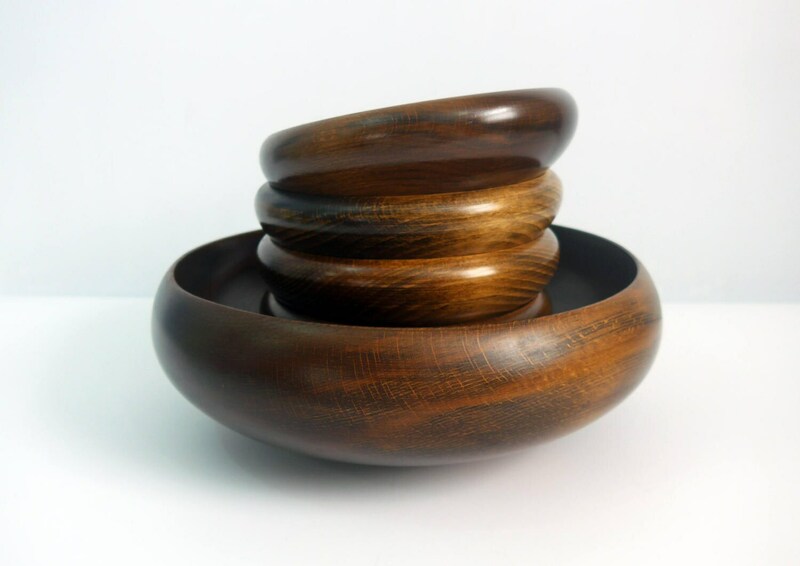 Great to use as salad bowls, nut dishes or for decorative accents around the home!